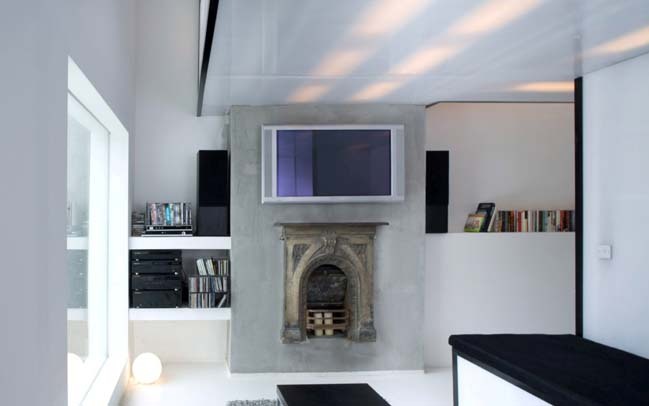 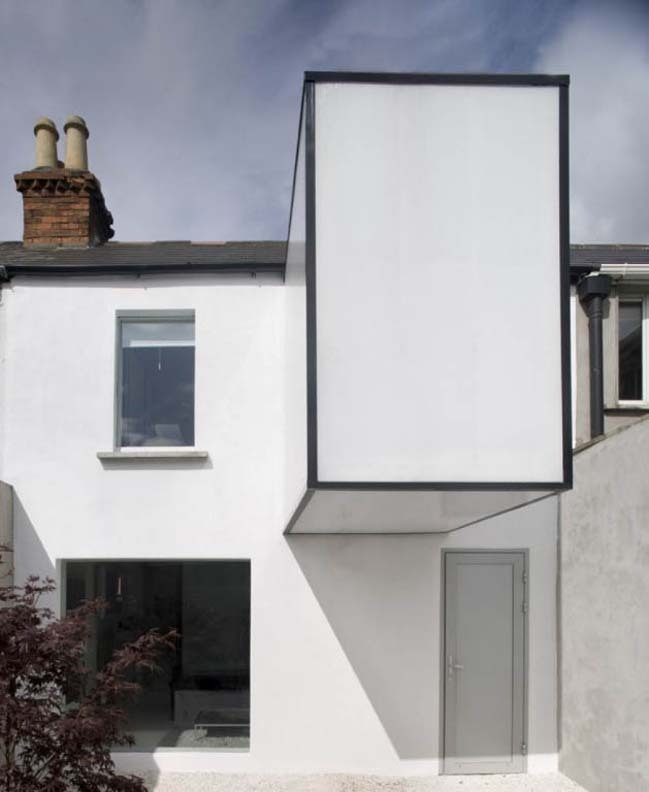 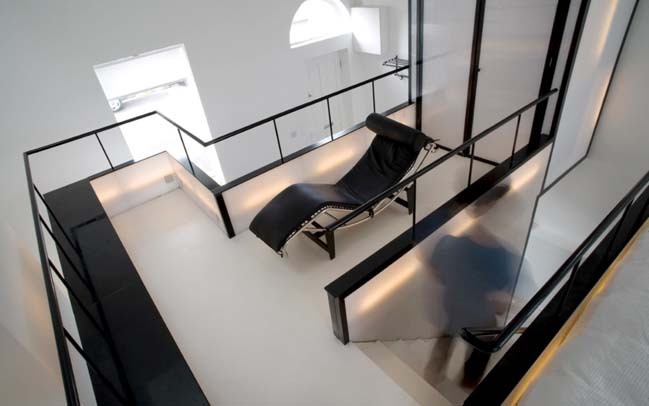 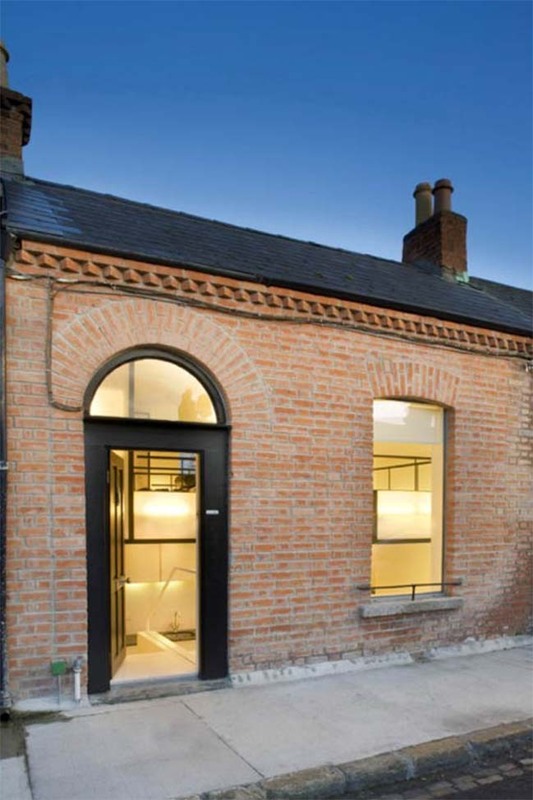 Plastic House is an old house in Dublin was renovated and extended by Urban Agency to create a modern living space with white and black tones. 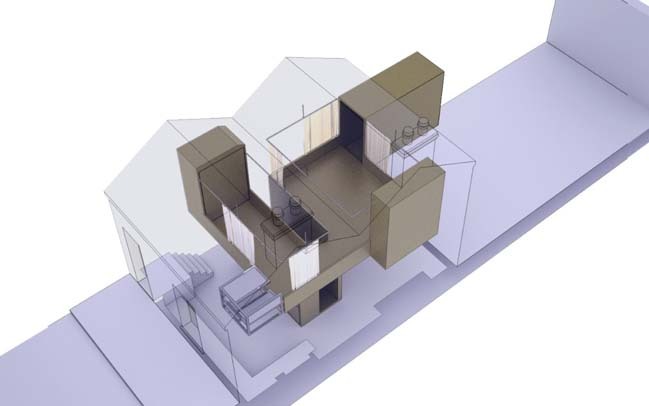 From the architects: A house is excavated and a space created. 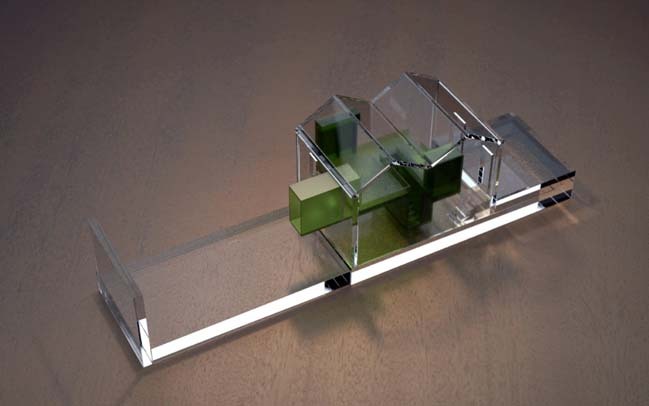 The insertion of a polycarbonate and steel cruciform object allows habitation, setting up a complex series of interconnected and overlapping spaces. 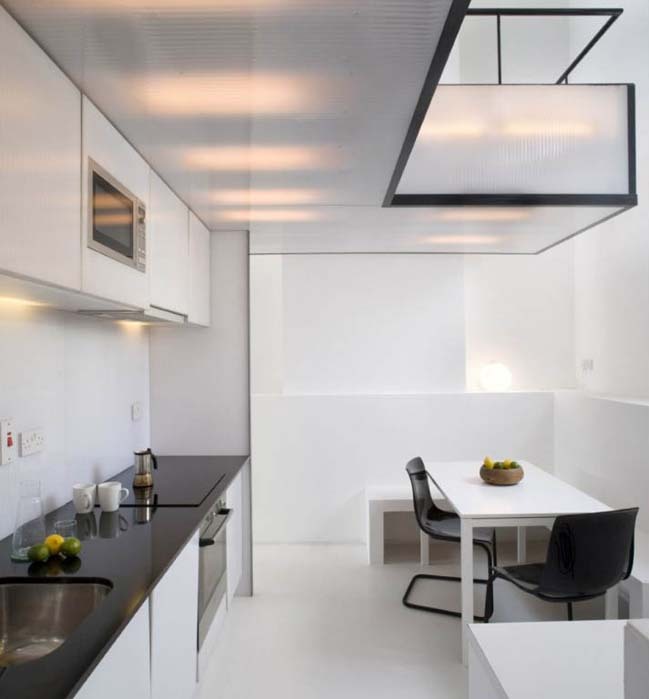 The object, a piece of architectural furniture, spreads treelike from a concentrated base housing a kitchen, toilet, storage and stairwell. 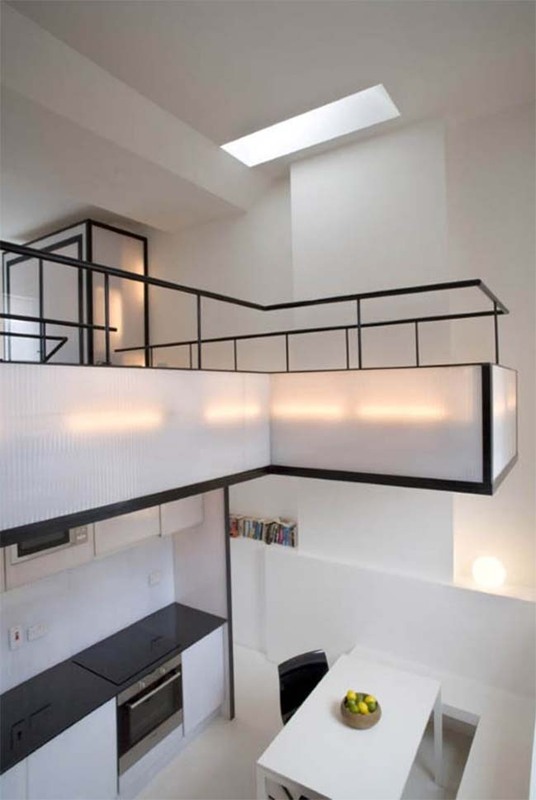 Above this is a platform for sleeping, dressing and study spaces. 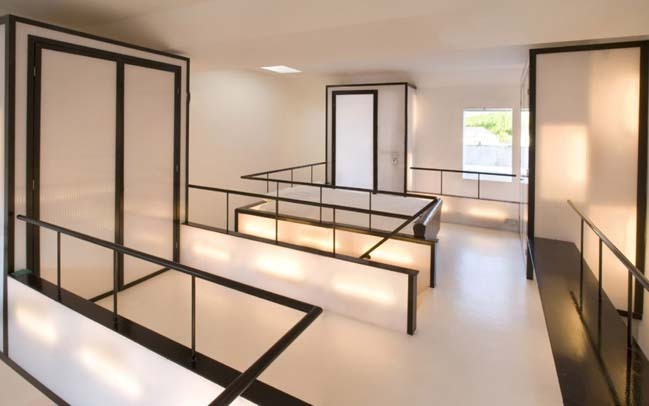 The four branches of the structure hold various functions – two spanning to the side walls act as wardrobes, while the branch to the front is a cantilevered reading desk for the teacher-client. 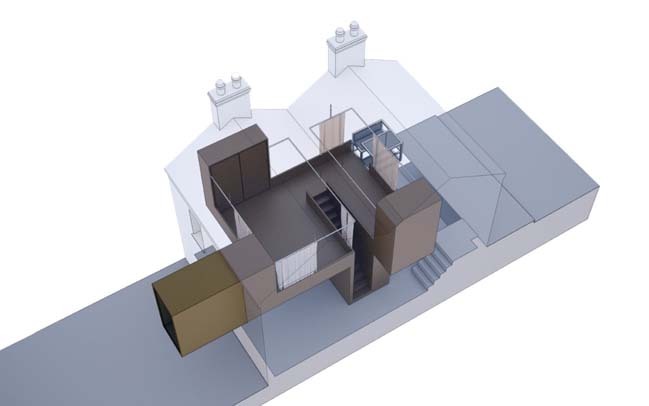 The fourth branch extends through the rear wall and projects two metres beyond it housing a shower room. 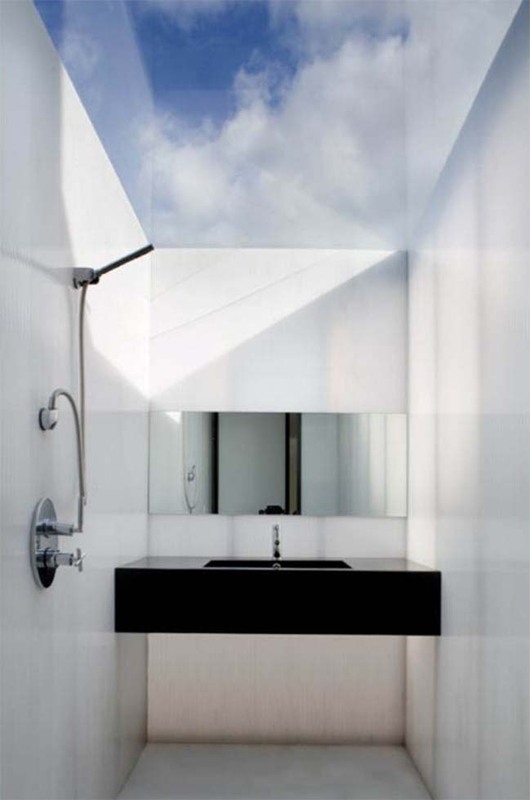 This room is glazed to the sky, reminiscent of the traditional “Georgian return typology”. 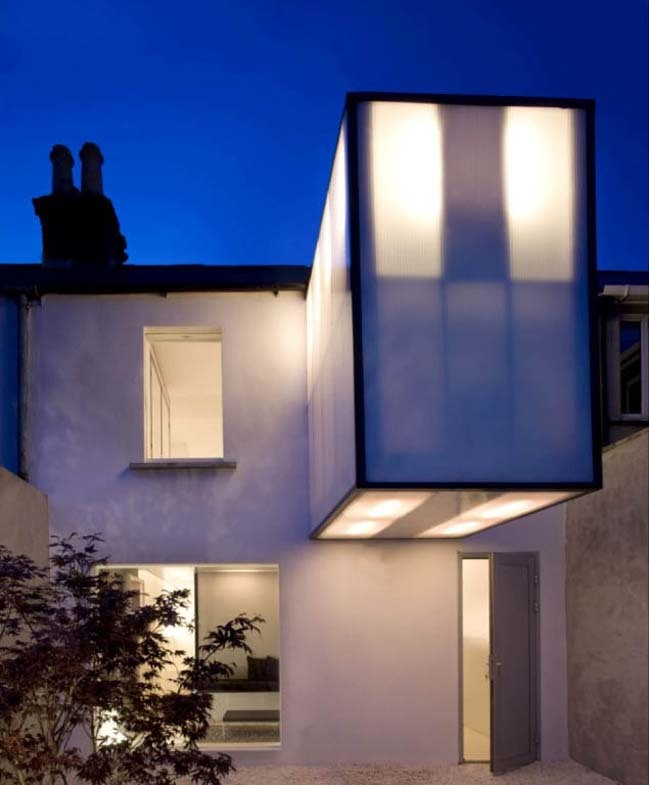 The lightweight structure is also the primary source of light in the evening – inset fittings cause its translucent surfaces to illuminate the spaces.